PADI Diver Propulsion Vehicle Specialty course. On every PADI dive course you’ll ever take, your Instructor will tell you: the slower you go, the more you see and the longer your dive. The PADI Diver Propulsion Vehicle (DPV) Specialty course is about getting to where you want to go – quickly, safely and in control. And it’s an obscene amount of fun – especially on the Pegasus Thrusters. 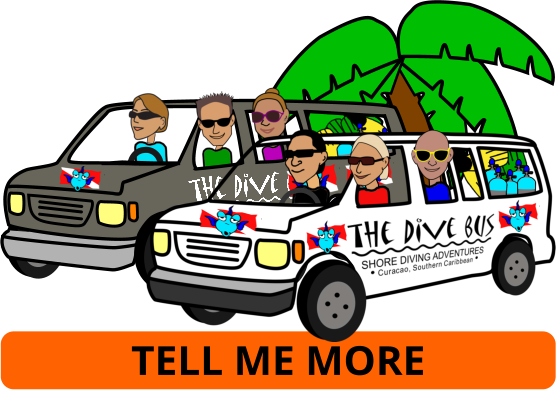 These are hands-FREE DPVs, only available in Curacao at The Dive Bus – here for more info. 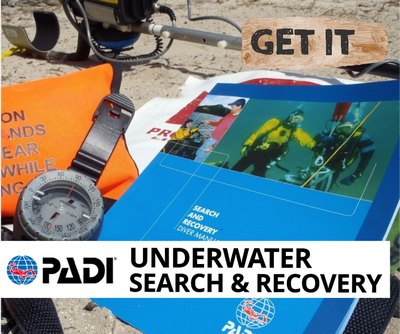 Depending on how many dives you have under your weight belt, it may be a good idea to take your PADI Peak Performance Buoyancy Specialty before this one, to make this PADI DPV Specialty course a little easier and a LOT more fun. The PADI Diver Propulsion Vehicle (DPV) Specialty course counts as one of the five Specialties for your PADI Master Scuba Diver rating and towards your PADI Advanced Open Water certification at The Dive Bus. Pre-requisites: Minimum 12 years old; PADI Open Water certified. The PADI Peak Performance Specialty is highly recommended before starting this course. Duration: Training dives: 2 Days: 1. You can take this course once you’re a PADI (Junior) Open Water Diver. But you'll need good buoyancy so consider taking your PADI Peak Performance Buoyancy Specialty course and / or PADI Advanced Open Water course first. This course is a whole heap of fun. During the two training dives, we'll have you swimming through hoops, Matrix / kung-foo fighting, 'Mission Impossible' hovering, playing around with your weights and distribution, body position, and all sorts of fun things to hone your bouyancy skills – and confidence. Determine how to calculate and use the exact weight you need, so you’re not too light or too heavy. Advanced Open Water certified? here are heaps more PADI Specialty Dive courses to enjoy and each moves you one step closer to earning the coveted status of PADI Master Scuba Diver: the highest certification level for recreational scuba divers.